Human physiology is the study of the mechanical, physical, and biochemical processes that support the body’s function. The study of physiology occurs at many levels, including organisms, organ systems, organs, cells, and biomolecules. Physiology investigates the processes and mechanisms that allow a living thing to survive, grow, and develop. Homeostasis is the maintenance of the overall stability of physiological processes of the body. It is monitored by the brain and nervous system and regulated by the physiology and activity of individual organs. While anatomy deals with the structure of the parts of an organism, physiology studies the way that the parts function together. homeostasis: The ability of a system or living organism to adjust its internal environment to maintain a stable equilibrium, such as the ability of warm-blooded animals to maintain a constant internal temperature despite changes in outdoor temperature. Living Systems: Open, self-organizing living things that interact with their environments. These systems are maintained by flows of information, energy, and matter. physiology: A branch of biology that deals with the functions and activities of living matter and the physical and chemical processes and mechanisms involved. The body’s ability to digest and absorb nutrients from food. Physiology is the science of the normal function of living systems. Physiology studies the processes and mechanisms that allow an organism to survive, grow, and develop. Physiological processes are the ways in which organ systems, organs, tissues, cells, and biomolecules work together to accomplish the complex goal of sustaining life. Physiological mechanisms are the smaller physical and chemical events that make up a larger physiological process. Human physiology studies the functions of humans, their organs and cells, and how all of these functions combine to make life, growth, and development possible. 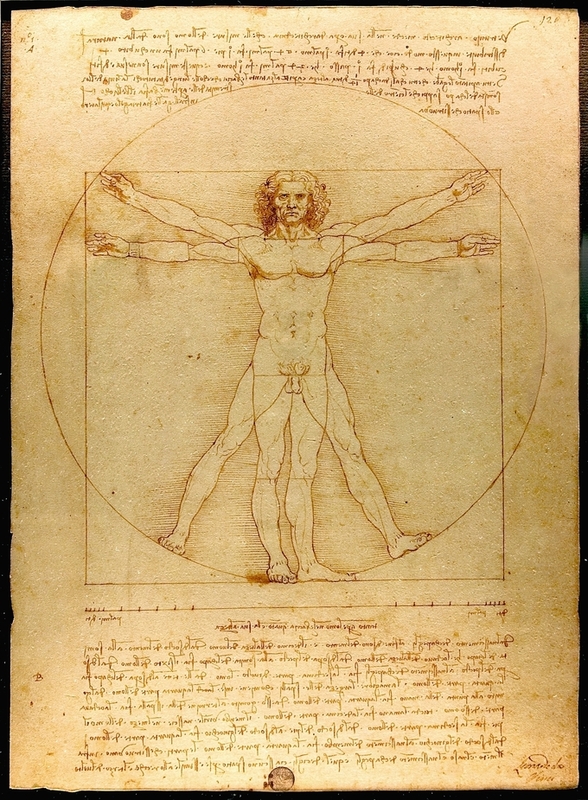 Leonardo da Vinci’s “The Vitruvian Man”: Vitruvian Man: A drawing created by Leonardo da Vinci. The drawing is based on the correlations of ideal human proportions with geometry described by the ancient Roman architect Vitruvius in Book III of his treatise De Architectura. Homeostatis is the maintenance of the body’s overall inner resistance to change. This resistance stabilizes the body by regulating the internal environment, even as the external environment changes. A stable internal environment is needed for normal physiological function and survival of a living system. Maintaining a stable internal environment requires constant monitoring, mostly by the brain and nervous system. The brain, more specifically the hypothalamus, receives information from the body and responds appropriately through the release of chemical messengers such as neurotransmitters, catecholamines, and hormones. These chemical messengers signal individual organs to change their functions in order to maintain homeostasis for the whole body. For instance, if blood oxygen levels are too low, the brain signals the muscles controlling the lungs to breathe faster to increase oxygen intake. The brain also signals the heart to beat faster so other organs and tissues receive the oxygen they need. When oxygen levels return to normal, the brain signals the lungs and heart to return to their normal rates of function, a process called feedback. Traditionally, the academic discipline of physiology views the body as a collection of interacting systems, each with its own combination of functions and purposes. Each system contributes to the homeostasis of other systems and of the entire organism. No system works in isolation, and the well-being of the person depends upon the well-being of the interactions between body systems. The traditional divisions by system are somewhat arbitrary. Many organs participate in more than one system (such as the heart and kidney), and systems might be organized by function, by embryological origin, or by other categorizations. For instance, the neuroendocrine system is the complex interactions of the neurological and endocrinological systems. Together, the neuroendocrine system regulates many physiological processes, including those that maintain homeostasis. Furthermore, many aspects of physiology are not easily categorized by traditional definitions of organ systems because they are composed of interactions between organs in multiple organ systems. The study of how physiology is altered in disease is pathophysiology. Pathophysiology focuses on how physiological processes fail to maintain normal function, resulting in the manifestation of disease symptoms. Human anatomy deals with how all parts of the human body interact to form a functional whole. 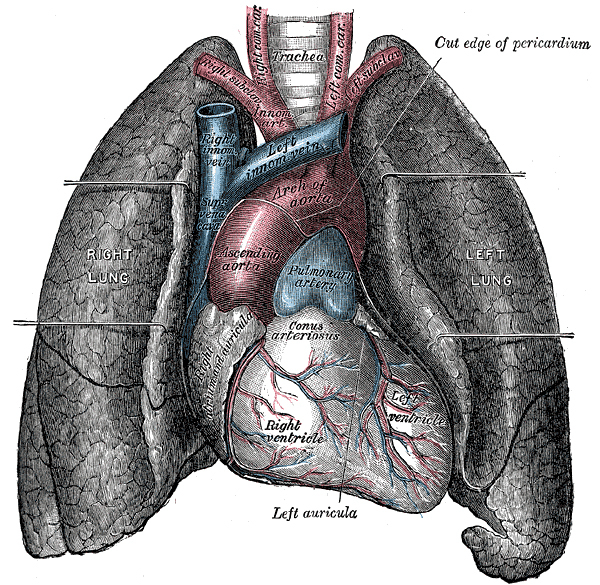 The study of anatomy is separate from the study of physiology, although the two are often taught together. While anatomy studies the structure of the parts of an organism, physiology is concerned with the way those parts function together. For example, an anatomist may study the types of tissues found in different parts of the heart, while a physiologist may study how the heart regulates blood flow to supply oxygen to other organs in the body. While anatomy and physiology study different aspects of human biology, together they provide a more complete picture of what the human body is and how it works. The human heart and lungs: Anatomy and physiology are complimentary disciplines as the structure of body systems often influences system function.